Linda is a Chartered clinical psychologist, a Chartered scientist, an Associate Fellow of the British Psychological Society, and a registered practitioner psychologist with the Health and Care Professions Council. Linda has written regular advice columns for a number of national publications. Including The Guardian, The Times, The Daily Mail and Psychologies Magazine. She currently writes a weekly column, Mind Healing, in The Daily Telegraph. She has also produced a series of videos for The Telegraph Online. She has written five books on various aspects of parenting and stress management. Her most recent book, Siblings, was published in October 2017. 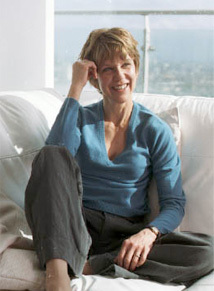 Linda grew up in America's Midwest, studied psychology at Wellesley College and Harvard University and then moved to the UK to train at the Maudsley Hospital (University of London).